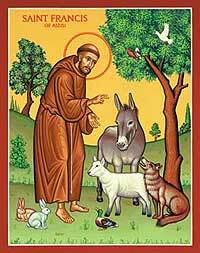 We will be holding our Annual Blessing of Animals on Sunday, 14 October at 3.00 pm at Holy Trinity Benalla. You are welcome to bring any or all your animals that are a part of your life along to Holy Trinity. This will be followed by afternoon tea and the opportunity to spend some time with one another.